Takahashi has just re-introduced their line of Abbe Orthoscopic eyepieces. They feature the classic three and one configuration. They perform particularly well with the Takahashi 2x Barlow lens and will produce a nearly flat field. 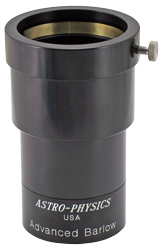 The 44° apparent field of view makes these eyepieces perfect for lunar and planetary observations. 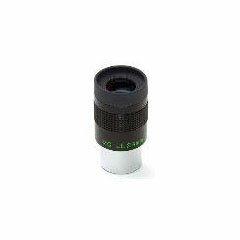 This simple configuration produces a high contrast sharp image in this high performance eyepiece. 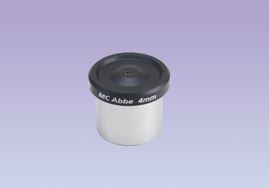 The Abbe 32mm eyepiece offers a minimum low magnification in f/5-6 systems that is light and affordable. The 28mm of eye relief allows the user to easily view the field and the fold down eyecups accommodates the spectacle wearer. 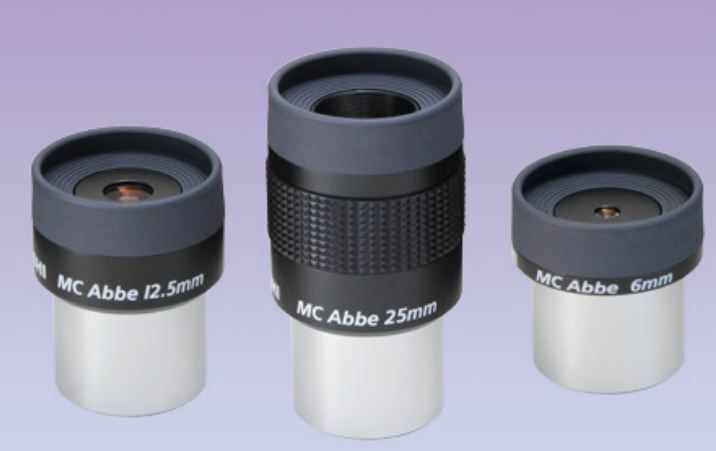 The Takahashi Abbe Series is essentially par focal from the 6mm to the 32mm and is suited to be used in turret eyepiece holder which makes changing eyepieces easy as turning the turret to the desired eyepiece. Each of the four elements is fully multi coated for maximum light transmission which significantly affects the contrast positively. 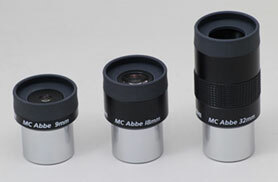 Takahashi 9mm Abbe Eyepiece 1.25"
Takahashi 25mm Abbe Eyepiece 1.25"
Takahashi 4mm Abbe Eyepiece 1.25"